We are so blessed to have our wonderful friends Bob and Debby Gass visiting us at UCB this week, from their home in the US. As you might know, Bob and his team write UCB’s Word for Today and have been friends of UCB from the earliest days. 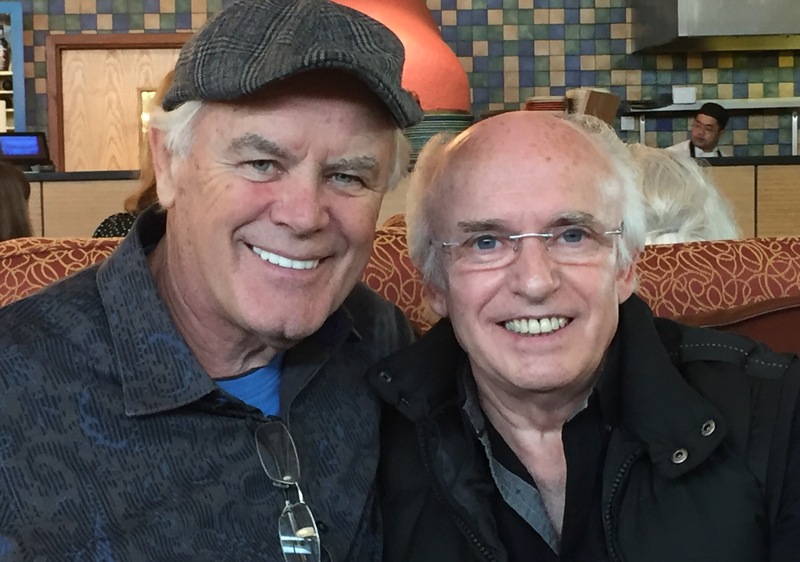 Bob has been in ministry for more than 50 years and he and I enjoy our times and conversations together. We are both preachers at heart! Bob has been sharing some wonderful thoughts this week with the UCB team and I wanted to share some of this with you too. Bob, what is on your heart this week? It’s been a few years since I visited UCB and it’s always good to reconnect and strengthen our friendship. I always say that you can visit many families but you can only be a part of one. We feel that we are a part of the UCB family and we love being here. Friendships and family are so important – it’s important to find where your heart is and get connected. We heard this weekend about the terrible attack in Orlando, Florida. The increase in attacks like these can make many people feel afraid. What are your thoughts? Bob: I always say, as believers, we should live in Psalm 91; He that dwelleth in the secret place of the most High shall abide under the shadow of the Almighty. I will say of the Lord, He is my refuge and my fortress: my God; in him will I trust. As Christians, we have to trust God and be sure that we know where we are headed. As we were boarding the plane to come here, the attacks in Paris were on my mind. There is no doubt that we live in an age of terror, but it also has to be an age of trust. These attacks force us to live closer to Him and push us to lean on Him more and more. When we’re surrounded by bad news reports, is there a way we should pray? I always try to pray, ‘Thy Kingdom come, thy will be done’. The happenings around us don’t alter the agenda of prayer. We should always pray that God will position us to fulfill our kingdom destiny, even more so in these dark times. We all have a kingdom destiny. We are each called by God to be priests and as a believer, you have the same anointing as any priest. The same Holy Spirit, the same presence of God rests on each of us and we need to get the message of the Gospel to this culture. We live in a world where people are searching for happiness and looking for it in drugs, multiple relationships and money. People think that if they get just one more thing or make some more money, they will be happy. But that is not the answer. We have the answer and His name is Jesus Christ. I was raised in a church which said we must not engage with the world, that we must stay away from it or we would get dirty. Thank goodness that the message of grace has come back to the church and we have to get that message of grace to our culture. Last week, we told the story of Marcus Mosey, who lost his sister in the Lockerbie disaster in 1988. How can we support people who are grieving? I always say that when you lose what you love, there is only one place to go and that is to the word of God. Jesus said, ‘I AM the resurrection and the life’ and in Revelation 1:18, ‘I am He who is living and was dead’. Jesus has been there and now, He’s got the keys. I also think there’s not enough preaching about Heaven. If you want to know what Heaven is like, look at the story of Jesus and the transfiguration. The Scriptures say, ‘His face shone like the sun and His clothes became as white as the light. Psalm 17 says, ‘As for me, I will see Your face in righteousness; I shall be satisfied when I awake in Your likeness’. We are given 70, maybe 80 or more years here and Heaven may seem remote now, but it won’t when we wake up one day in His presence and behold His likeness. Heaven is a place of beauty. It’s a place of innocence, no devil, no sickness, no crying. I always say that a place made by Jesus has to be the perfect home. When we get a glimpse of Heaven, our 70 or 80 years will seem as nothing to the thousands ahead of us. You get a Heavenly perspective when you get older. Not that any of us want to go to Heaven just yet, but having a heavenly perspective regulates your conduct, your priorities and goals. It also gives us hope for the present. It’s been wonderful to connect with Bob this week. If you’d like to receive UCB’s Word for Today (it is free), you can sign up on the UCB website. Next postHow should you vote on Thursday?